There has got to be good used equipment out there, I mean people always want something new, so where do I find GOOD used equipment? There is a robust used market for amateur radio. The challenge is finding quality equipment at a good value. 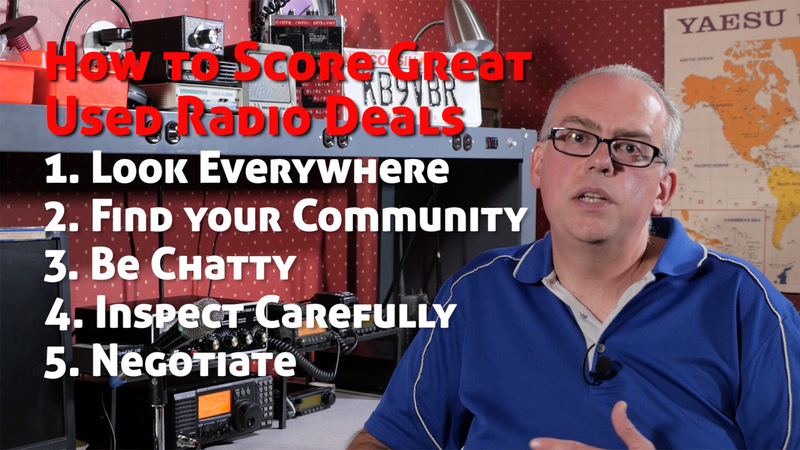 Your most reputable sources will be amateur radio dealers and private sales via club members. Next on the list for reputability are hamfests and auctions. Then, finally, you’ve got online sites like QRZ, eBay, or Craigslist. With used equipment, it’s ‘Buyer Beware’ so know what you are looking for, know its value, and know its pitfalls and limitations. Now don’t let that scare you off the used market. There are plenty of diamonds in the rough out there, and most of the used sellers are honest and the purpose of this video is to give you the tools to shop intelligently and make informed decisions. So, if you are relatively new to the hobby, ask a fellow ham on their impressions of a piece of gear before you buy it. They may have used that or a similar model or have some experience with it. Bringing in a second set of eyes is good to help spot a problem you may have overlooked. Some resources I’ve used to assess the value of equipment are the sold item listings on eBay or many of the used product websites out there. Universal Radio, a retailer out of Ohio, does a great job cataloging discontinued items and used equipment. This will give you a good idea of a used item’s features, and also the retail value of it on the used market. eBay’s pricing is more market demand oriented, so the used values can vary depending on demand and availability. But between these two sites you’ll find a midpoint of true worth of a piece of used equipment. Are you an ARRL member? If so, go to the QST magazine archives and search for the product review of your target item. Not only will you get an in-depth analysis of it, but also what the retail price was when it was introduced. With a little online research you’ll establish a baseline value of used equipment and help you make a decision on if what the person is selling is worth it. So how do you find good used equipment? It takes diligence, patience, and a keen eye. My best deals always seem to be items I’ve stumbled upon, than actively searching and wishing that a used find will be ‘the one.’ So here are some tips on searching for good, used equipment. Not only with keeping an eye on online listings like eBay and Craigslist; watch garage sales, estate sales, and flea markets. 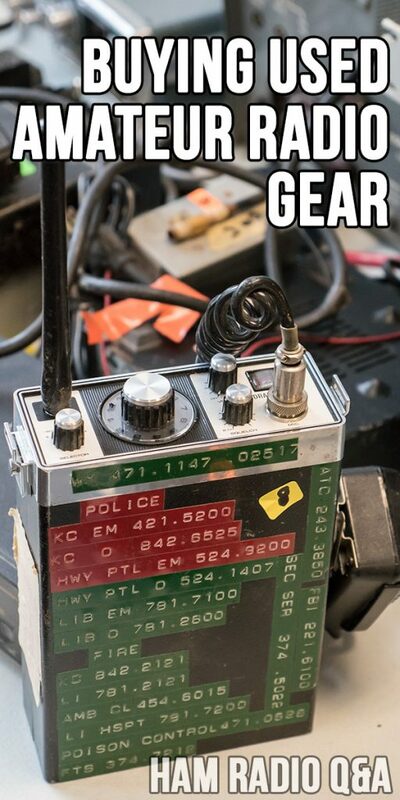 I’ve seen radio equipment show up in all of those places. But when shopping in a nonstandard venue, be sure to look at the item with a critical eye, knowing that the item may need some work to make it operational on the amateur bands. 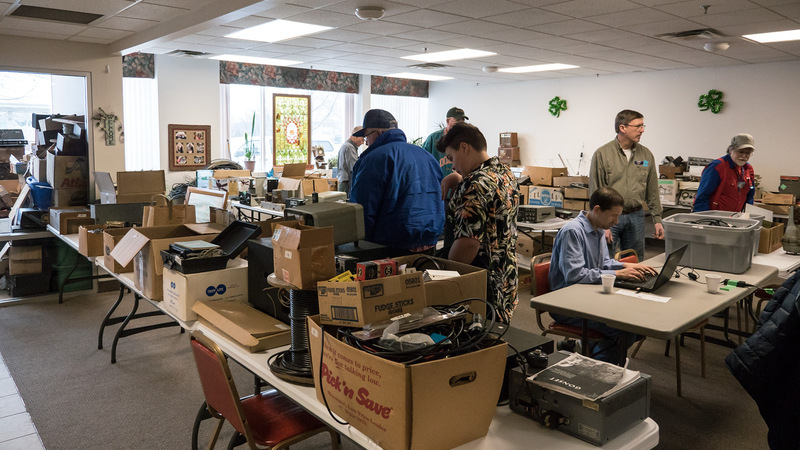 Your local amateur radio club can be a good place to find used equipment. Put out a general inquiry for an item you are looking for, more often than not, you’ll run into a fellow club member that has one he’s like to sell. Listen to the area swap nets on the local repeaters and make connections with hams outside your area. Just last week I was forwarded an email from a ham looking to downsize and had several interesting items for sale. Striking up a conversation with a seller is good for a couple of reasons. First, it will give you a good idea of the quality of the used item, how long they had it, and if there are any issues. making a personal connection will tell you a lot about the seller and the item. Second, when you start talking to the seller, you’ll sometime find out about other things they weren’t initially thinking about selling. This goes without saying. Look for signs of wear and tear. Check for cleanliness and give it the ‘sniff test’ to see if the previous user was a smoker. Are you able to power it up and check it out. Some people are pretty well set on price and others have flexibility. Knowing the value of an item can be helpful in knowing if there is wiggle room. If you aren’t sure, you can always ask the seller if he would entertain a potentially insulting offer. People are usually curious enough to listen. Shopping for used equipment can be a challenging and rewarding aspect in its own right. Like catching rare DX, it takes patience and a bit of skill. Do you have any used equipment shopping tips? Please share them in the comments below. Great article. What you’ve done is put into 1000 words, what we’ve always said in 3: find an Elmer. Don’t get me wrong – I’m agreeing with you. I think the new “social media” has convinced people that you don’t actually need to talk with people any more. Or meet face-to-face. Your suggestion of “strike up a conversation” is pure gold, and eminently practical. It sounds too easy, in fact. But I feel that it’s the essence of this fine hobby. It’s also great advice whether you’re buying or selling!